A 2015 Medscape report found that 31% of physicians were sued for failure to diagnose a medical condition. This is particularly common with false positives. Physicians are encouraged to follow professional guidelines for screening and diagnostics tests. Many of these cases resulted in disability or death. According to the Journal of Patient Safety, more than 210,000 patients died from an injury during their treatment. Healthcare-related infections are an increasingly common issue. The most frequent infections are UTIs (36%), surgical site infection (20%), bloodstream infection and pneumonia (both 11%). These diseases often occur in the ICU. Medical errors are the third leading cause of death in the United States. According to John Hopkins Medical Center, causes will include mistakes like medication administration, incorrect medical plan and failure in executing an order. If patients have received excellent communication about their medical treatment, they are less likely to sue. Develop a relationship that empowers patients in their healthcare, and opens up dialogue for any questions or concerns. Doctors who apologize are also sued less often. The practice is about building empathy with patients, whether the physician made a mistake or not. In the event that a physician is sued, it is best to practice nondisclosure. While the situation may be stressful, sharing information about the case even informally could lead to further damage — for the physicians and their supportive colleagues. If a physician is experiencing emotional distress, they should seek psychological support. 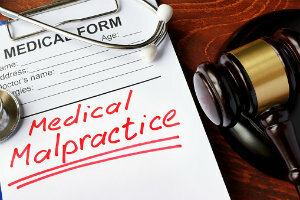 Upon discovering a lawsuit, physicians must immediately contact their insurance carrier. If they fail to do so, doctors jeopardize their coverage and thus will have to deal with the lawsuit on their own. When and if the time comes, doctors can best handle a medical malpractice lawsuit by remaining calm. The process generally takes a long time, and much of it is beyond the physician's control. Following the standards of care, keeping good documentation and having malpractice coverage are important steps to preventing a case. In the event of a lawsuit, make sure to lean on a support group, trust legal counsel and continue doing the best job possible.